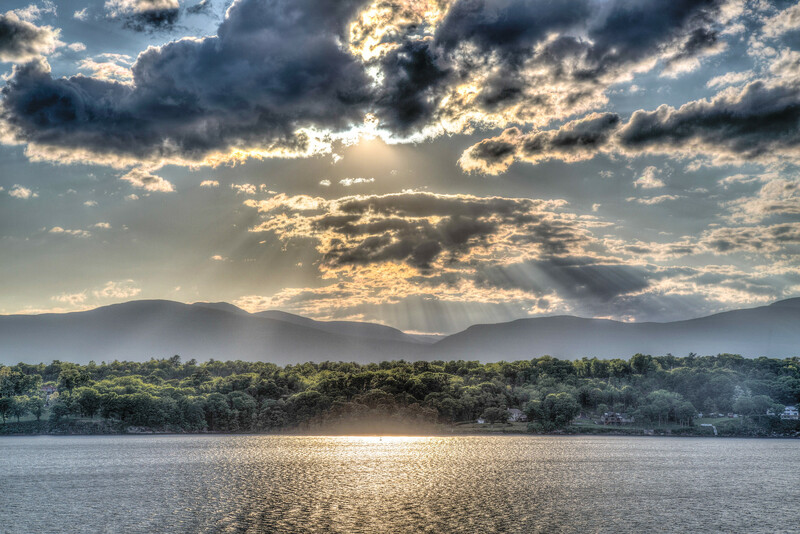 Hudson River and the Catskills, photo from John Fischer. His new book is Ulster County: Discovering Home. We hope you are enjoying the beauty and bounty of Ulster County—the best place to live, work and play—as you gather to celebrate with family and friends. On December 18, Governor Cuomo announced Ulster County was awarded nearly $13M in CFA funding for 27 exciting projects throughout the County! Winners include Bread Alone Bakery and Pika’s Farm Table in Lake Katrine; Ametek/Rotron in Woodstock; the Hudson River Maritime Museum, Hutton Brickyard, Stockade Works/The Metro/RUPCO, Inc., Fala Technologies, Inc., Center for Creative Education and the City of Kingston in Kingston; GoPal Farm, Mohonk Preserve, Wildberry Lodge and Huguenot Historical Society in New Paltz; Caraway Tea Company in Highland; Arrowood Farms in Accord; Open Space Institute/Minnewaska State Park Preserve in Gardiner; the Towns of Esopus, Marlborough and Wawarsing; and the Villages of Ellenville and New Paltz. Go to Page 101 of the full report for more details about these wonderful Ulster County projects. Here are a few of the innovative ideas and successes that made 2018 a fabulous year for Ulster County’s businesses and non-profits. 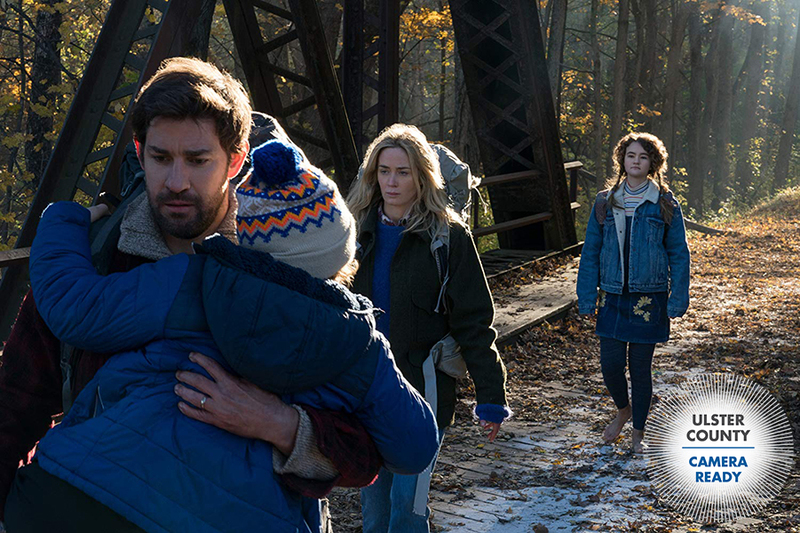 Suspense blockbuster A Quiet Place was filmed at multiple locations in Ulster County. Photo by Jonny Cournoyer/Paramount Pictures. Filmmaking was one of our most robust industries, with at least $26 million in direct regional spending last year, thanks to the highly competitive NYS Film Tax credits (up to 45%). Heavy-hitters like Jim Jarmusch (The Dead Don’t Die), Hallmark Movies, and Marvel Studios (Avengers Endgame) all brought excitement and business to our towns—and this season’s Welcome to Marwen(starring Steve Carell) was inspired by a documentary produced here about a local resident. Want in on the action? Register your business services here. Inside the Lite Brite Neon factory, photo by Monica Simoes. 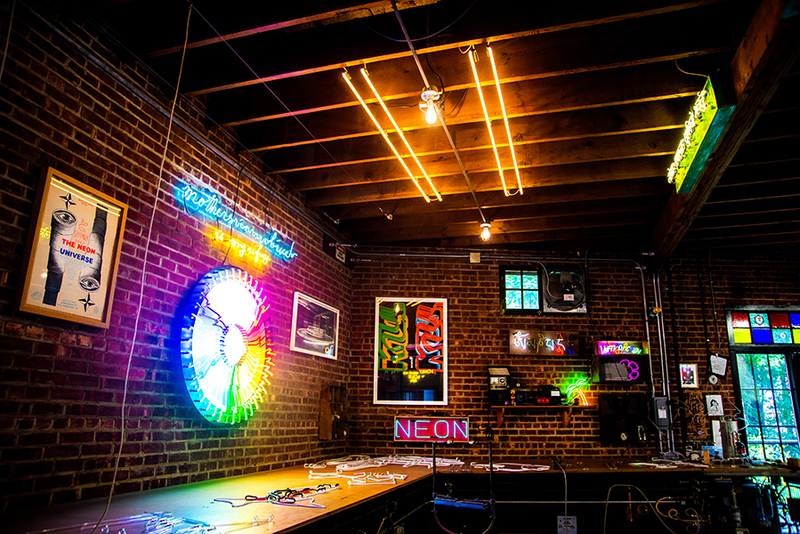 Lite Brite Neon set up shop in Kingston, joining nearly 90 other arts-related manufacturing businesses reviving prime warehousing spaces in the Midtown Arts District. Fruition Chocolates in Shokan captured several International Chocolate Awards at the 2018 World Finals in Italy, and Organic Nectars made VegNews’ Top Ten List. Bread Alone opened a new, solar-powered Lake Katrine location. Need a prototype? The 3D Printing Center at SUNY New Paltz can make it! Ulster County is the perfect fit for your niche manufacturing business too—have a look. 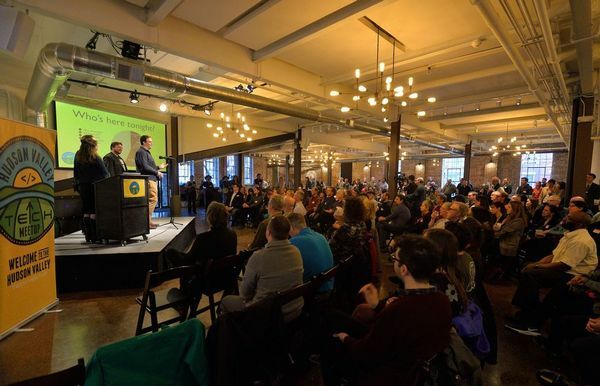 Hudson Valley Tech Meetup brings together creatives, engineers, entrepreneurs, educators, students, and the regional tech community each month at the Senate Garage in Kingston. VFT Solutions, an Ellenville-based start-up cyber-security company with clients in the multi-billion dollar entertainment, sports and broadcast industries, was named one of the 15 “Most Fundable Companies” by Pepperdine Graziadio Business School. Entrepreneurs from Grand Central Tech (Company) escaped Manhattan for the summer to set up shop at The Senate Garage, and we exhibited at Tech Up For Women in NYC. If you have a great idea and are looking for a home for your tech business, here's how we can help. If you need assistance growing your business, we are here to help. We can assist with finding a location, staffing needs, funding incentives and loans, grant applications, networking and introductions, and more. Please give us a call at (845) 340-3556 or send an email to oed[at]co.ulster.ny[dot]us today.